Join UW-Green Bay Chancellor Gary L. Miller, Associate Provost Clif Ganyard as well as alumni and community friends from UW-Manitowoc and UW-Green Bay for an update on the unification of our institutions. Time: 5:30 p.m. – 7 p.m. Questions, contact Director of Alumni Relations Kari Moody at moodyk@uwgb.edu or 920-465-2226. 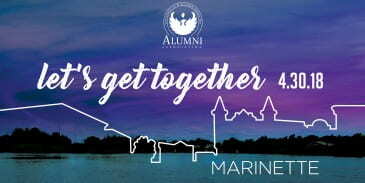 This entry was posted in and tagged alumni, Project Coastal, unification on May 8, 2018 by moodyk. Join UW-Green Bay Chancellor Gary L. Miller, Associate Provost Clif Ganyard as well as alumni and community friends from UW-Marinette and UW-Green Bay for an update on the unification of our institutions. 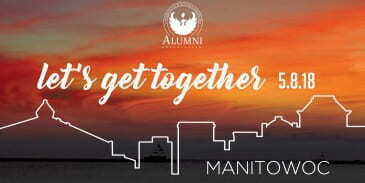 This entry was posted in and tagged alumni, Project Coastal, unification on April 30, 2018 by moodyk. Have you heard the news? The UW System Board of Regents approved the proposal by President Cross to realign the UW Colleges with UW System four-year universities. Under this plan, UW-Marinette, UW-Manitowoc and UW-Sheboygan will join UW-Green Bay effective July 1, 2018. To learn more, check out the initiative’s webpage. Also, check out these events where you can learn more and connect with Chancellor Miller, alumni and friends. There is no cost to attend. Mon., April 30: UW-Marinette, Marinette, 5:30 p.m. – 7 p.m.
Tues., May 8: UW-Manitowoc, Manitowoc, 5:30 p.m. – 7 p.m. This entry was posted in Events, News and tagged Networking event, Project Coastal on March 28, 2018 by moodyk.